TMJ stands for the jaw joint. TMD is the dysfunction of the joint. Everyone has TMJ, not everyone has TMD. Grinding teeth is due to both physiologic and stress factors of the individual. Sometimes wear patterns develop in the teeth and muscle pain develops as a result of grinding. 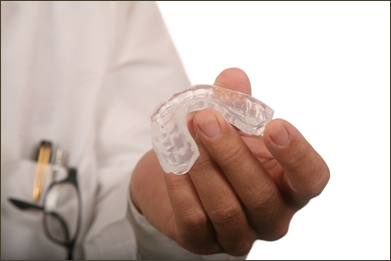 Nightguards and splints offer relief in most cases. When conditions persist, these cases are referred to a specialist for further evaluation and treatment.